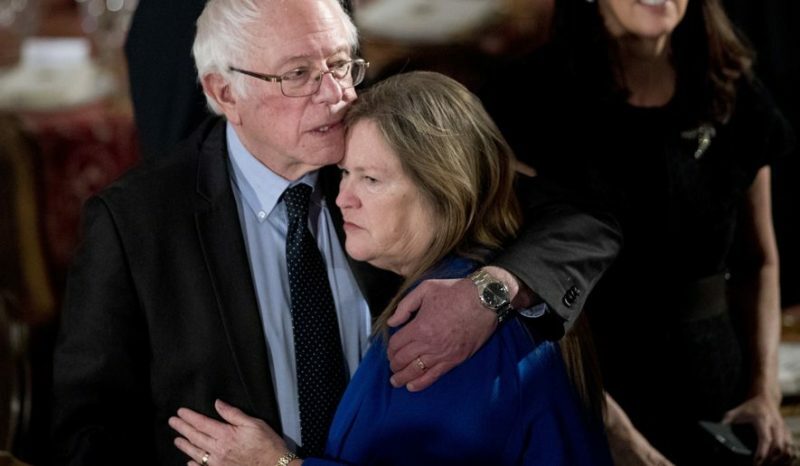 Bernie Sanders’ wife, Jane Sanders, has been in hot water after it was discovered that she may be guilty of committing fraud. The FBI has been investigating her since the beginning of the 2016 presidential election, but Jane isn’t about to take responsibility for her actions. No, instead, she says that it’s all about sexism. In early 2016, Brady Toensing filed a complaint against Jane Sanders, alleging bank fraud. Toensing’s investigation into Sanders began in 2014, several years before her husband would decide to mount a presidential run. The fraud accusations involve her time as president of Burlington College, a small, independent liberal-arts university in Vermont. From 2004-2011, Sanders was head of the school, with the university quickly falling into financial difficulties under her leadership. With millions of dollars in debt, Sanders is alleged to have falsified loan documents in order to further expand the university grounds. She claimed that the school could raise over $2 million in donations to pay for the loan, but past donations had been significantly lower than that amount. Sanders eventually left the university and the school went bankrupt. Others also laughed at the sexism allegation. “Jane Sanders must think Hillary Clinton’s campaign was sexist for viewing the alleged bank fraud as a major issue, too,” Michael Ahrens, Rapid Response Director for the RNC, said. The Clinton campaign knew about the fraud allegations against Sanders and leaked e-mails showing that they considered using this against the Sanders campaign to bring him down. Do you think sexism is behind the Jane Sanders fraud investigation?